Mr Alvin Cham is a specialist Breast, Endocrine and Laparoscopic surgeon who is known for his compassion and empathic approach to patients, while delivering outstanding patient care. Alvin specialises in a wide range of procedures, including breast cancer surgery, endocrine surgery and laparoscopic intra-abdominal procedures. Alvin is a breast surgeon specialising in the surgical treatment of breast cancer and all benign breast conditions which includes oncoplastic surgery, sentinel node biopsy, familial breast cancer and risk reduction surgery. He works in a multi-disciplinary breast cancer care setting with an experienced group of radiologists, pathologists, oncologists and plastic surgeons. Alvin also cares for patients who require endocrine surgery such as thyroidectomy, parathyroidectomy and laparoscopic adrenalectomy. He offers up-to-date techniques consisting of intraoperative nerve monitoring during thyroidectomy and focus parathyroidectomy surgery. Alvin also has a special interest in hernia repair, and is highly skilled and well respected in the repair of complex hernias. Multiple different technique are available which are tailored to the the patients' needs. These include laparoscopic and open approaches, with or without component separation using the most appropriate mesh. He treats patients at several locations throughout Melbourne, including; John Fawkner Private Hospital, Epworth Hospital (East Melbourne and Richmond) and Western Health (Footscray and Sunshine) Mr Cham is also on the roster for patients requiring emergency general surgery at these hospitals. Mr Cham studied Medicine at The University of Melbourne and graduated in 1997 with a MBBS. He then went on to train at Melbourne's Alfred and Western Hospitals and completed his advanced training in General Surgery (FRACS) in 2007. From here, Mr Cham undertook a Fellowship year in 2008, in which he specialised in breast cancer and endocrine surgery at Waikato General Hospital in New Zealand. As part of this specialist training, Mr Cham worked alongside one of the pioneers of endoscopic retroperitoneal adrenal surgery. Mr Cham has worked in the North West region of Melbourne since 2009. 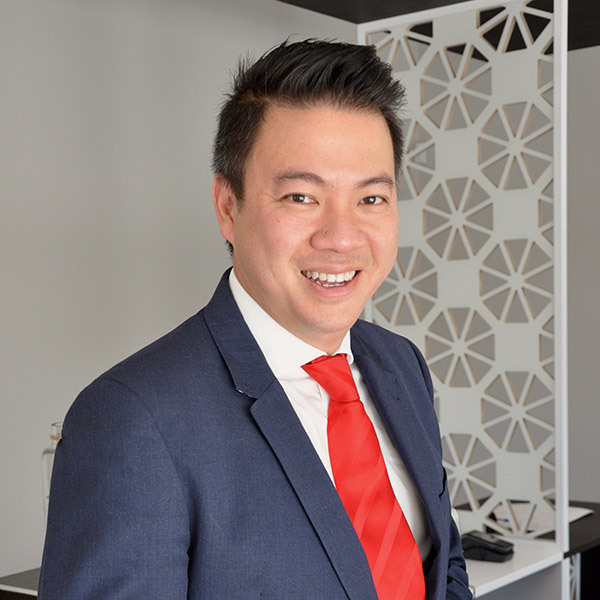 In 2015, following the growth of his practice, he moved his consulting rooms to the renovated Melbourne North West Surgical suites in Moonee Ponds. In addition to English, Mr Cham also speaks fluent Mandarin and Cantonese.